Situated near the bisection of Walnut and Neil is Café Kopi, nestled near several mainstays of downtown Champaign. It resides in one of the oldest buildings downtown, built around 1908-1910. Café Kopi’s residence has a lengthy history, beginning as a paint store, then a clothing shop, and now one of the most popular cafés in Champaign. The café is greatly inspired by Indonesian décor and culture; in fact, the word “Kopi” means coffee in Indonesian. The walls, inspired by Indonesian landscapes, are painted a deep burnt sienna and radiate with sunlight during the summer months. The original owner, Jennifer Isaacson, started Café Kopi in 1993. She opened Café Kopi before the age of commercialized coffee shops as a stop for locals and tourists to grab a cappuccino as they browsed downtown stores. 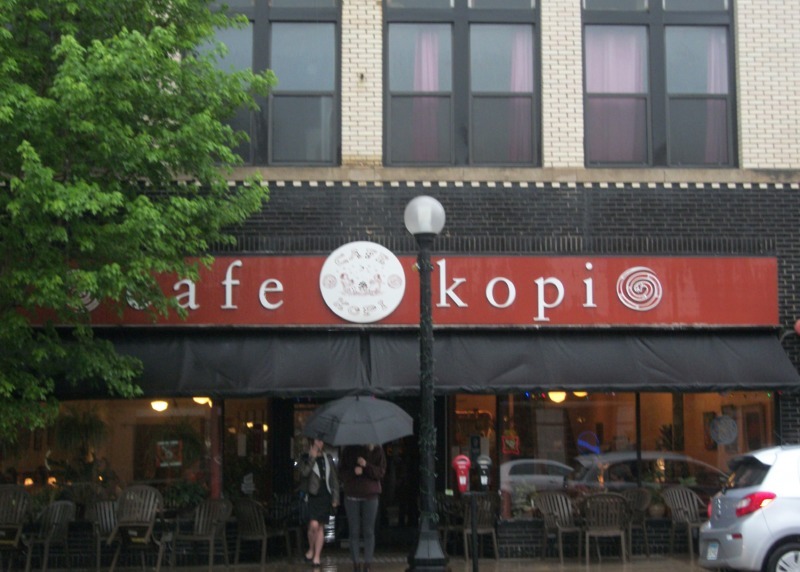 Café Kopi was also an effort to rejuvenate the downtown area, which was filled with businesses struggling to survive in the then-walking-town of Champaign. Current owner Paul West came on the scene soon after Café Kopi opened, and took over ownership of the business nearly twenty years ago. He had a history in cafés, working in Espresso Royale before striking out on his own in the coffee business. When he took over ownership, he wanted to retain Jennifer’s “fancy” coffee ideals, but stay away from trends, saying “we have good equipment, good product, and good training. It’s my job to find out what you like, to suggest drinks.” Paul proudly describes how Café Kopi’s coffee and food are farm-to-table, and how he works hard to ensure they serve great drinks. While they do have food, he is most concerned with the drink menu, because the food came second and slowly in the café’s history. It was very organic; as customers asked for sandwiches the menu evolved. This downtown coffee shop grew to support the needs of its community. Paul West, the owner, describes downtown as “vibrant” and has an obvious passion for the Champaign-Urbana area. Local art is on sale on their walls, and they participate in Champaign’s Friday Night Live events in the summer. Paul keeps the atmosphere much the same that Jennifer did. “It’s very old world, very subtropical, and we like it that way.” Paul speaks affectionately of the regular customers who move away but come back to visit the café. Café Kopi was the first to have chai made from real tea (brewed using a cold press method), and they like to stay on top of new coffee experiences. As it turns out, an old business in an even older building can learn new tricks. 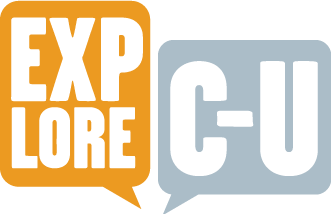 KayLee Scott, “Café Kopi,” ExploreCU, accessed April 18, 2019, https://explorecu.org/items/show/394.